Eye-catching carpet has always been in style. 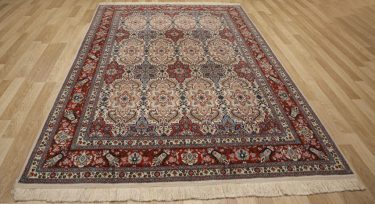 What varies is the way the carpet catches the eye and the position of the carpet to make it catch the eye in the best possible ways. 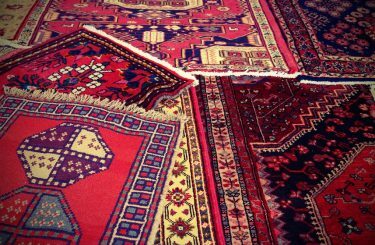 These variables control the way a carpet is viewed and what it does for a room or even the whole home. In 2019, a lot is happening in terms of carpet style. Here are some of the predominant trends. The carpeting in your entryway can make a bold statement. But as important as the magnitude of the statement is, the timing is just as crucial of a factor. This is the first or second thing your guests see when they come in. While the eyes may naturally go up and out, when it comes time to take off—or think about taking off—the shoes, eyes will naturally flash down to the floor. This is where your choice of carpet gets to do its thing. A larger than expected swath of carpet with big, bold shapes will help set the tone for an impactful experience in your home. In 2019, size is important. The room should be the guide when deciding the size of the carpet. A room that is big commands a big carpet. One that is small says you just went to the store and grabbed whatever was cheapest. In 2019, you will want the carpet to be firmly underneath anywhere feet are likely to travel—or be planted while sitting down. If your carpeting is not going from wall to wall, the edge of the room should be like a frame of a picture, with the carpet and all that sits upon it as the artistic focal point. This has to be executed with care and caution, but multi-colored carpets are definitely in for 2019. The selection of a carpet with a combination of varied colors is an art form in and of itself. Find the items in the room whose colors you most want to emphasize. It could be a painting, a large photograph, a wall color, or even a piece of furniture. Then you can find a carpet that incorporates those colors. Suddenly, a room of disparate items comes together in a symphony of synchronization. Again, you will want to exercise caution. 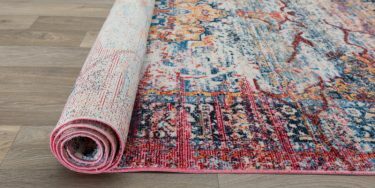 If the carpet is simply gorgeous by itself due to the way the colors pop out or the image is conveyed in the artwork, you may want to make it the focal point of the room by getting rid of anything that could detract from it and replacing it with something that is more neutral or of a shade of grey. Choosing carpet is a lot like selecting items for your wardrobe. If you make the right selection, it will be relevant and comfortable for years. 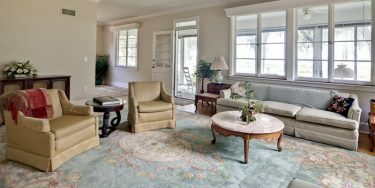 Use these guidelines to help you select the best carpeting for your home in 2019.